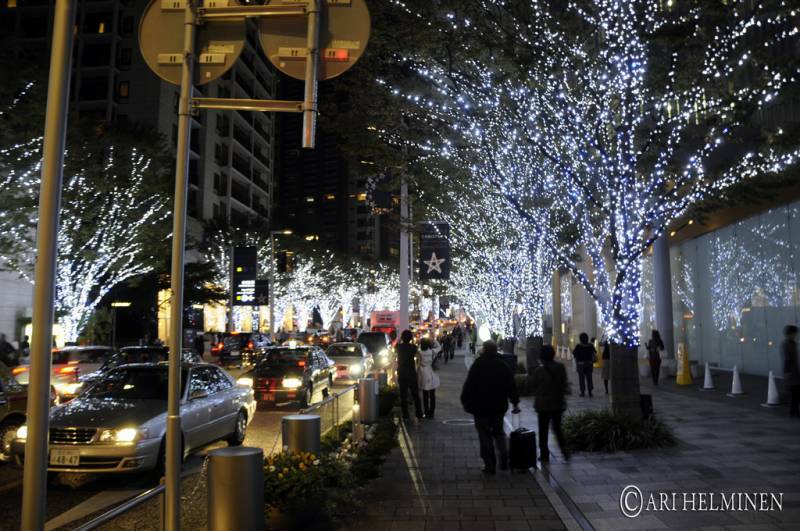 The holiday season brings more excitement and more lights to the already high energy city of Tokyo. If you are looking to see the best holiday season light shows in Tokyo during your visit to the city here is a great list (as of Dec 2017). But first check out the above video from December 2015 which offers some great visuals of illuminations around Tokyo and which includes all of the locations listed below. 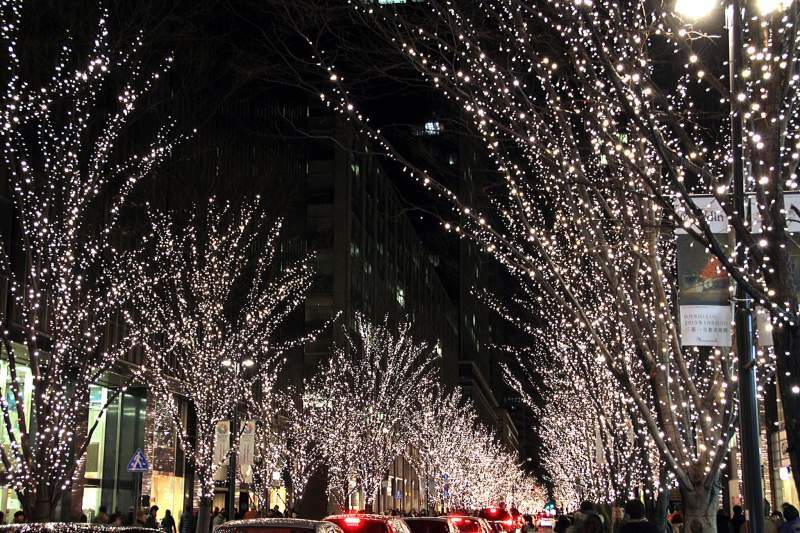 Always a popular place for a weekend stroll and people watching, the Omotesando area comes even more alive during the holiday season with the addition of the winter illumination and makes it one of the best places each winter to enjoy holiday lights. Just walk up and down the street and take in the holiday atmosphere. Scheduled to run from November 30 to December 25, 2017, the trees and shrubs along the street adorned with lights make for a spectacular holiday sight. 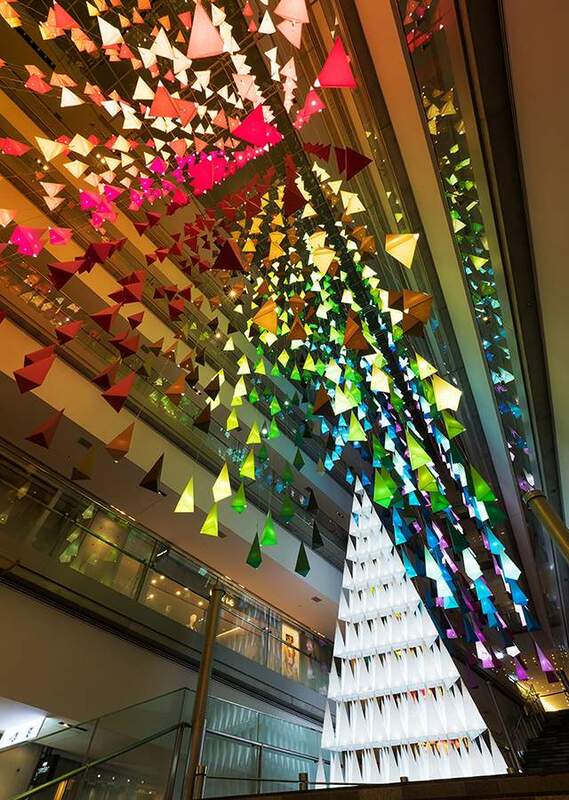 While you are there you also might want to step into the Omotesando Hills shopping plaza to view the fabulous Christmas display which features a 7m white tree in the center of the main staircase accompanied by around 1,500 mini trees in the surrounding space. 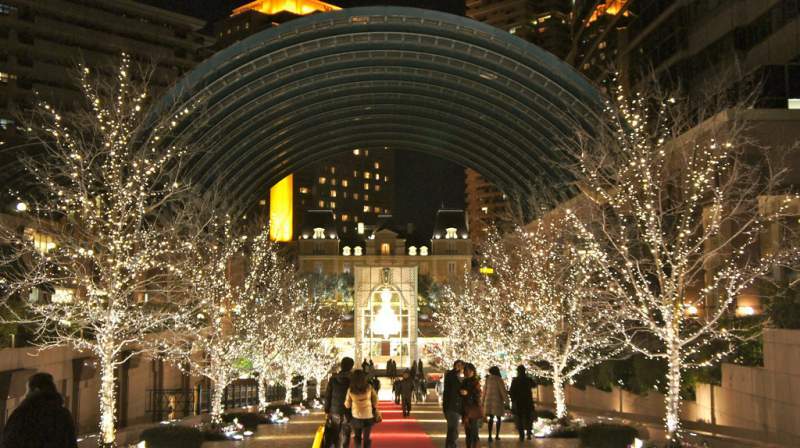 Roppongi, known for its nightlife and packed with clubs popular with both local and foreigners, adds an additional element of energy during the holiday season. 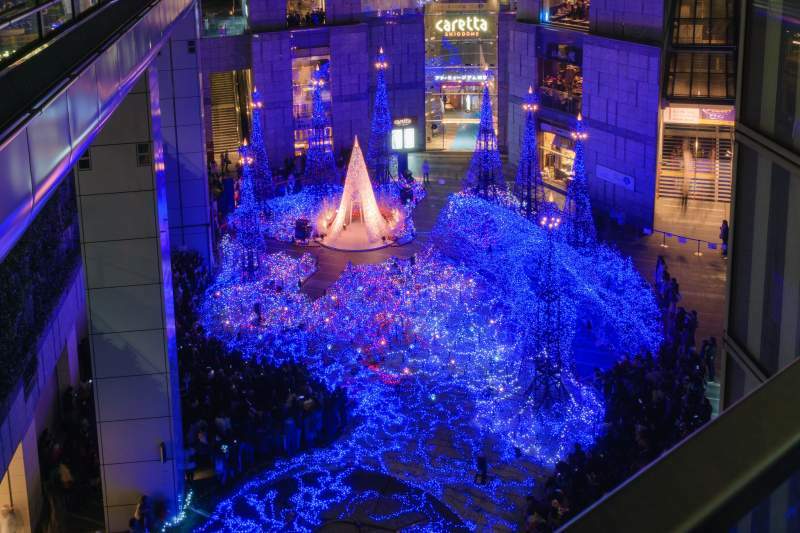 The Roppongi Hills and Tokyo Midtown are two popular spots to enjoy winter illumination. 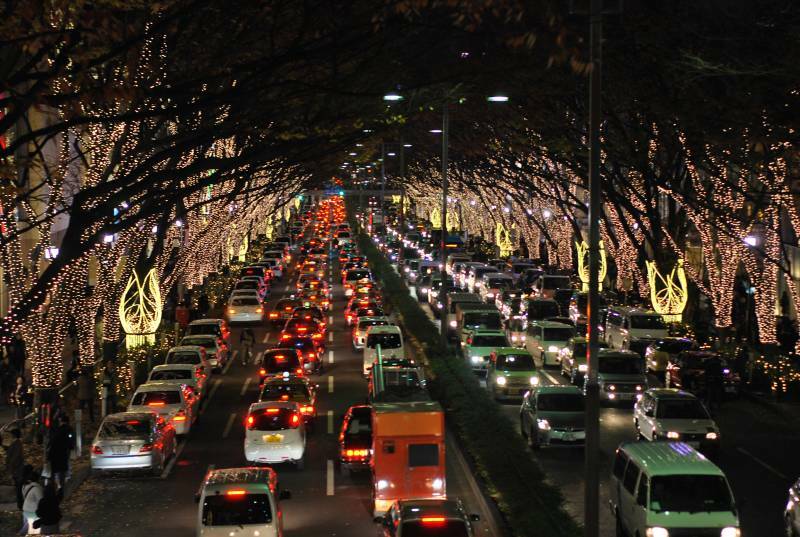 This is one of the most popular light displays in Tokyo. 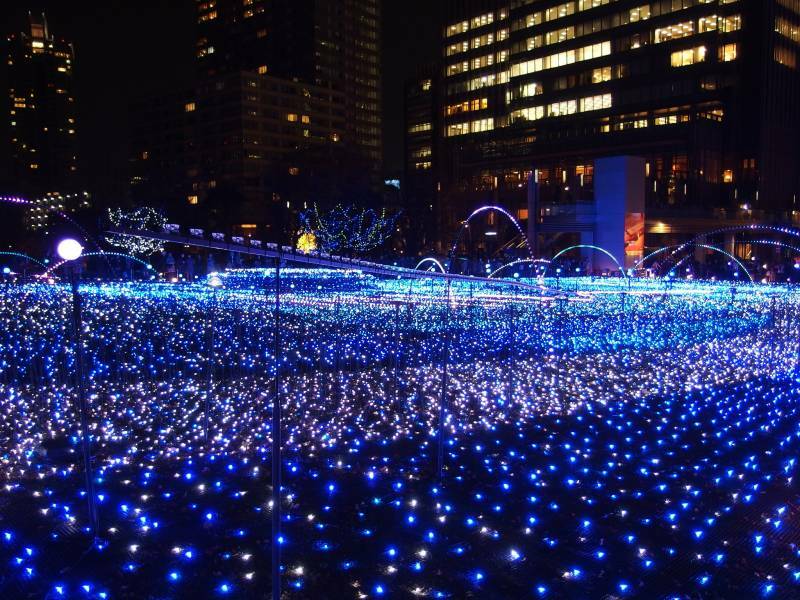 Celebrating ten years, Tokyo Midtown’s “Midtown Christmas 2017” is comprised of 510,000 lights. 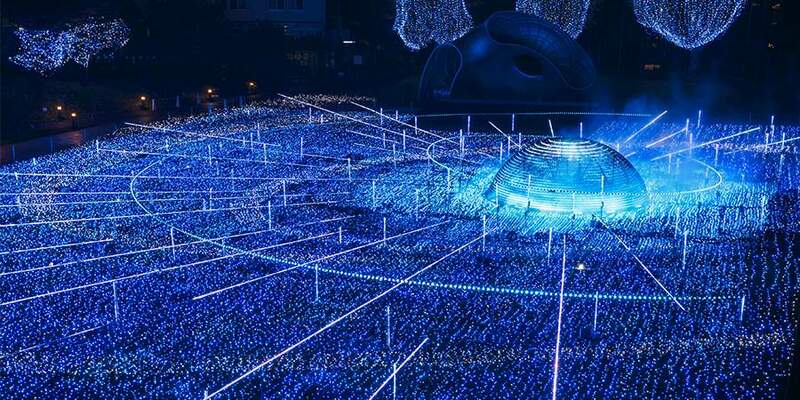 Located on the Grass Square, the “Starlight Garden” is the centerpiece illumination. Yebisu Garden Place, located next to Ebisu Station and just south of Shibuya Station, is a location that is tremendous popularity with the younger crowd. Its winter illumination, entitled the Baccarat Eternal Lights, is a beautiful display with its centerpiece majestic Baccarat chandelier, one of the world’s largest chandeliers, which is 5 meters high, 3 meters wide, and includes 8,472 pieces of crystal and 250 lights. Along with the Christmas tree at the Clock Plaza and the other light displays, the night visit during the holiday season should be on your to-do list. 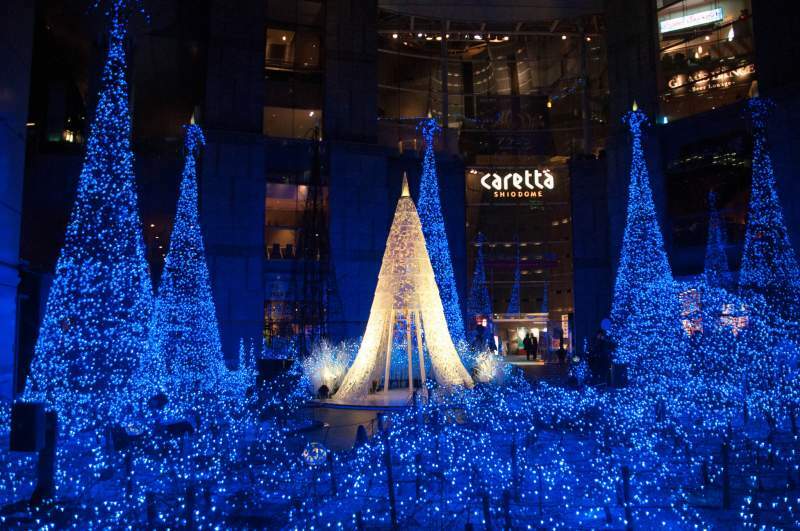 Caretta Shiodome Illumination continues every year to amaze people with a world of magnificent blue lights and 3D projection of beautiful images on the buildings coordinated to the sound of music. 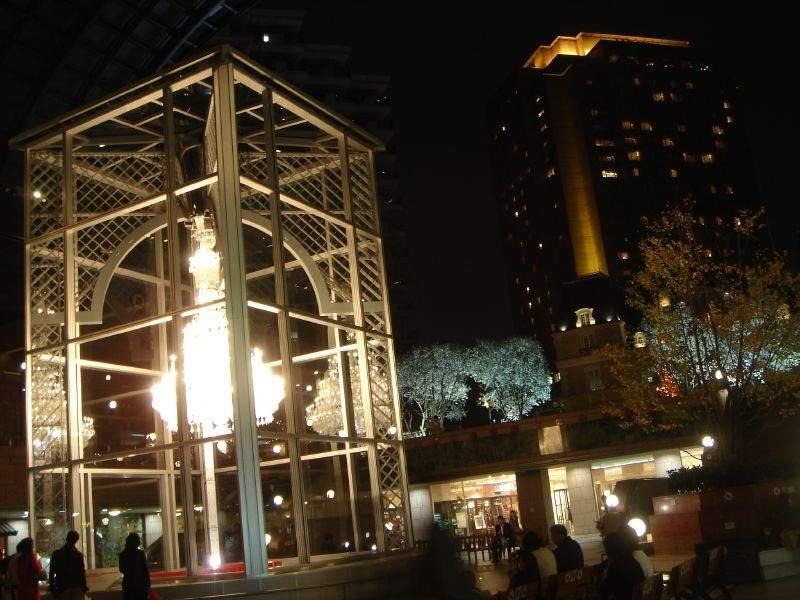 Caretta Shiodome is a commercial complex close to JR Shinbashi station that includes restaurants, shops, and theaters. As well as restaurants on the 46th to the 47th floors that offer delicious meals and fantastic views of Tokyo Tower, Tokyo Skytree, the Rainbow Bridge and Ginza, you can enjoy a panoramic view of Tokyo Bay from about 200m above ground from Sky View on the 46th floor. 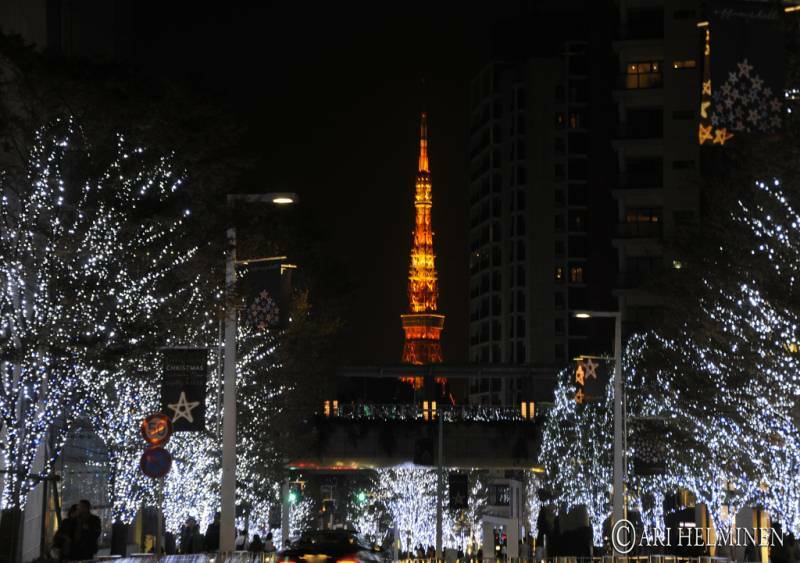 Come to see the winter illumination and stay a little longer and enjoy the view of Tokyo from above. Above list as of December 2017. Check back for yearly updates. Eat and get your ninja on at Tokyo restaurant ! Japan’s New Luxury Sleeper Trains | World’s Most Luxurious? Crazy Bizarre Tokyo Theme Restaurant Alcatraz E.R. Our mission is to offer information on Japan travel and a forum for people around the world to share their experiences in Japan to those persons looking for information and considering their own Japan travel adventure.